This past Spring Break, I was fortunate enough to spend some time with my family and a couple of friends at the “Most Magical Place on Earth”. 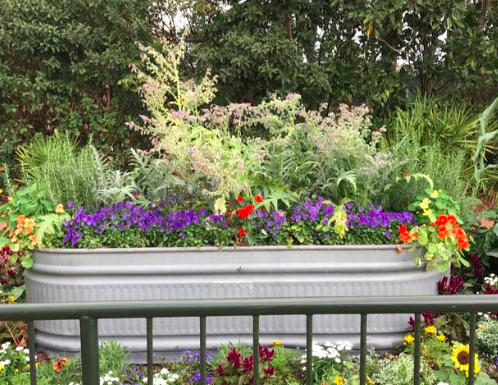 And, it just so happened to also be the International Flower and Garden Show at Epcot. Ah! Disney truly is Magic!!! Anyway, I am sharing this with you, because being at Disney World confirmed my own experimentation at home. 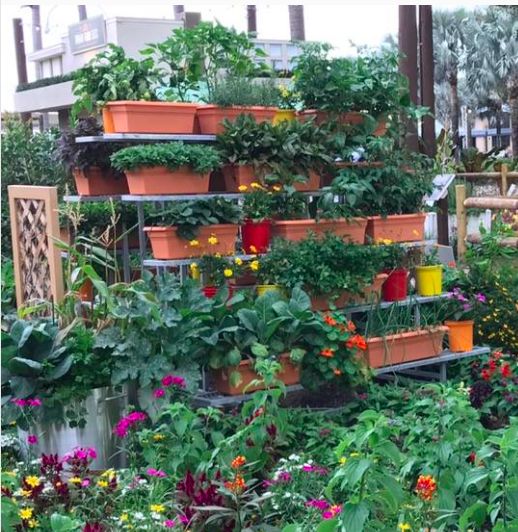 You CAN grow just about anything in containers!! So, those of us with small spaces or digging dogs or the inability to care for a large garden can still grow things we love!! And, that includes food plants as well as pretty ornamentals and flowers. 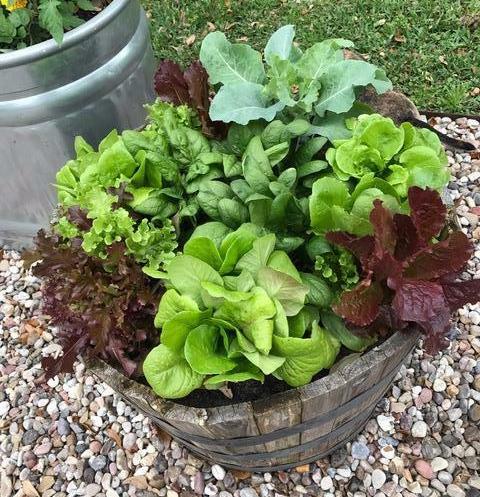 Recently, I added a small gravel area to my backyard for a container veggie garden. I have plenty of space, but I have doggies that love to get into things when I am not around. 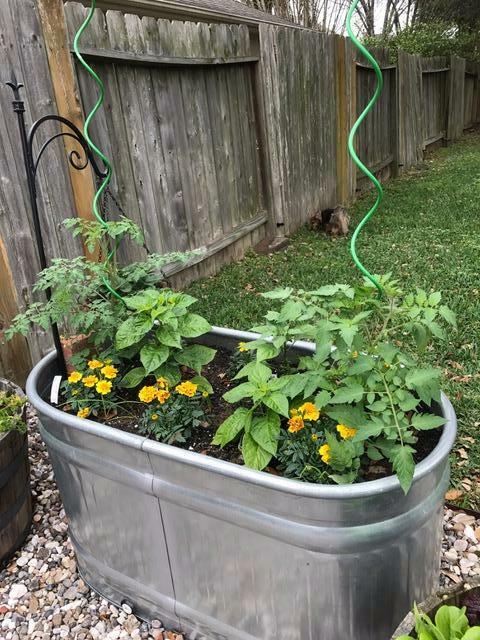 So, a container vegetable garden was the way to go. 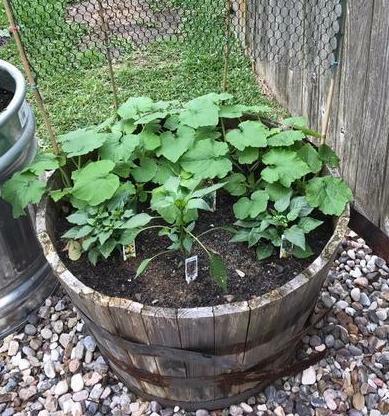 I used half whiskey barrels and water troughs for my containers and all is going well. I am seeing great growth in just about a month since planting transplants and everything looks healthy. I can’t wait to start harvesting!!! I have planted: 2 varieties of lettuce, broccoli, cauliflower, brussel sprouts, spinach, okra, eggplant, cucumber, zucchini, onions, and many varieties of tomatoes and peppers. As long as you give these plants good soil, good drainage (so be sure to drill holes in the bottom of your planters), good fertilizer (like Microlife 6-2-4), regular watering and lots of sunlight, you can’t go wrong! And, almost anything can be a container. Wheel barrows, kitchen sinks, stock pots, buckets, food/water troughs for animals, etc. Basically, as long as the material is weather proof, food safe and the container is big enough, you can probably make it work. Just be sure to drill enough holes in the bottom for good drainage. A little thing to help with drainage that I like to do is add a little gravel or expanded shale to the bottom of containers before I add soil. I will keep you posted as my garden progresses. 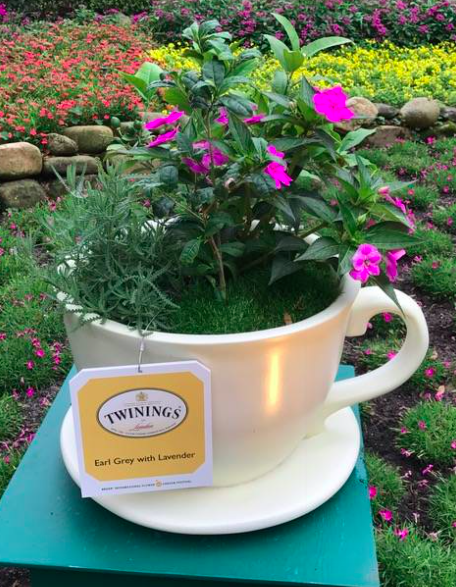 Please share with us any photos of your own small gardens. You don’t need Disney Magic to make it happen!